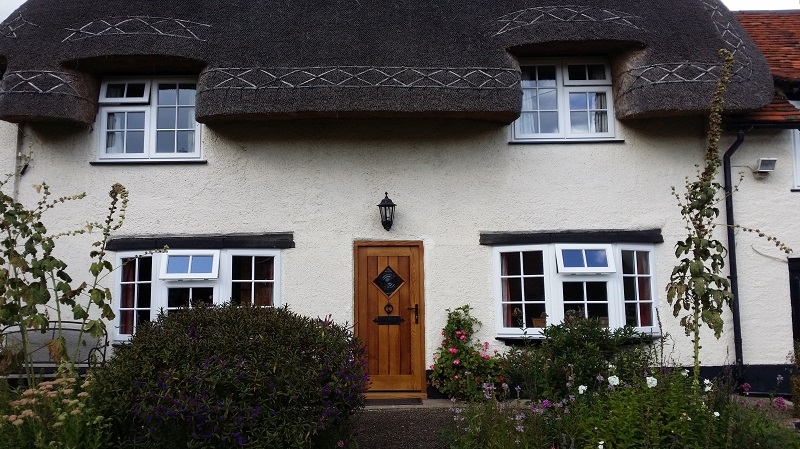 In July and August 2017, we carried out an extensive renovation project at the Thatched Cottage in Wingrave near Aylesbury, Buckinghamshire. The original windows and entrance door were removed and replaced with bespoke timber alternatives which were designed and manufactured at our factory in High Wycombe. The property is now benefitting from much improved levels of security and increased thermal efficiency. The windows and entrance door for this installation were designed to complement the property’s unique style. 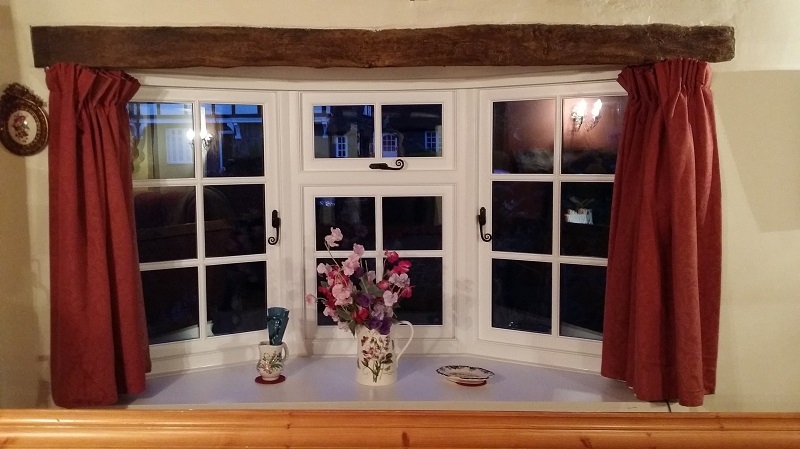 The ground floor bay windows and first floor casement windows were manufactured using Accoya. They were finished in brilliant white to match the building’s white rendered frontage. The double glazed windows feature slimline astragal bars to further enhance the property’s charm. 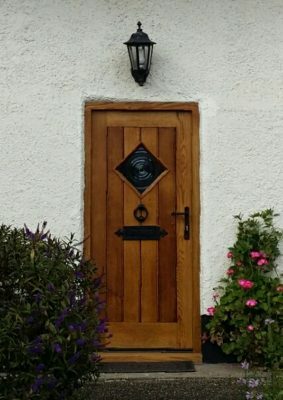 The oak front door was constructed with full length oak panels set into a solid oak surround. It was finished with a clear protective varnish to accentuate the beauty of the natural wood grain and create a rustic look. The door features a diamond shaped textured glass panel which provides privacy while allowing natural light to flood into the entranceway. A cast iron letterplate, handle, and knocker complete the door. At Kirkman Joinery, we strive to provide the same levels of outstanding customer service and high quality installations to all our customers. If you’d like to find out more about our full range of products and services, contact Kirkman Joinery today. Call us on 01494 461 116 or send us a message online.